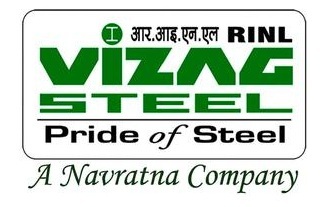 Rashtriya Ispat Nigam Limited – Visakhapatnam Steel Plant (RINL-VSP) has released notification for the recruitment of 366 Junior Trainee posts. Eligible candidates may apply online from 26-12-2015 to 15-01-2016 by 05:00 P.M. The notification for Vizag Steel Recruitment 2015 for 366 Junior Trainee Posts has been announced. Candidates age should be between 18-27 years for General, 18-32 years for SC/ ST, 18-30 years for OBC as on 01-12-2015. Age relaxation is applicable as per rules. Candidates should possess SSC with ITI/ Diploma in Engineering in Fitter/ Machinist/ Mill Wright/ Turner/ Draughtsman (Mechanical)/ Electrician/ Instrument Mechanic/ Electronics trades/ Diploma in Mechanical/ Electrical/ Electronics/ Electronics & Communications/ Instrumentation/ Electronics & Instrumentation Engineering. Candidates have to pay Rs. 300/- through Challan deposited in RINL-VSP Recruitment Account No: 30589461220 at any of the core banking branches of State Bank of India. Candidates have to pay bank commission Rs. 25/- per Challan for depositing fee at other than State Bank of India, Steel Plant Branch, Visakhapatnam, and Branch Code Code 6318. No fee for SC/ ST/ PWD candidates. Eligible candidates may apply online through the website www.vizagsteel.com from 26-12-2015 to 15-01-2016 by 05:00 P.M.
Last Date to Apply Online – 15-01-2016 by 05:00 P.M.